A member of the honor guard prepares to raise the American flag. The honor guard fires a 21-gun salute in honor of Moffat County's fallen veterans. 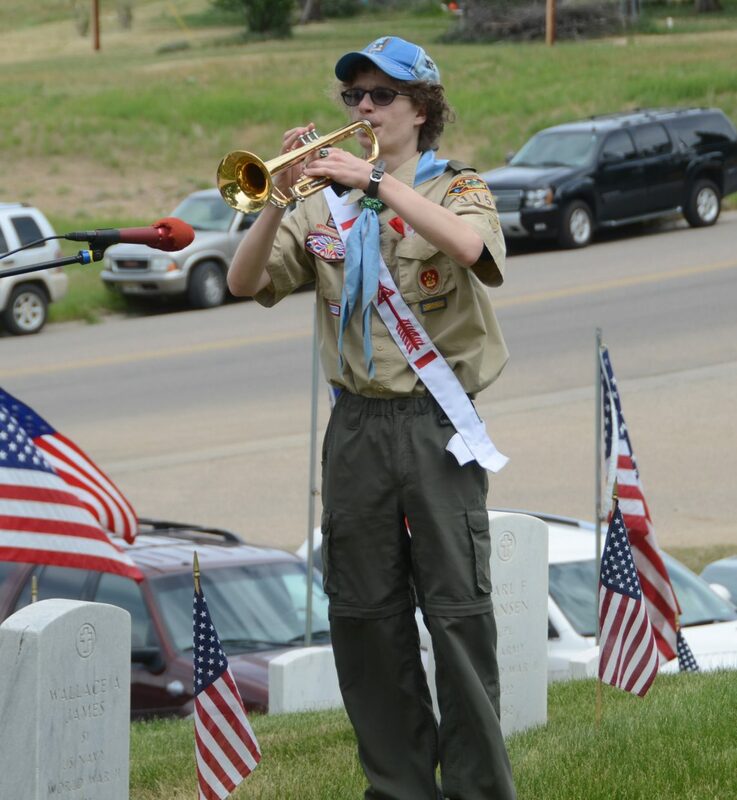 Local Boy Scout Jeremy Looper plays "Taps" in honor of Moffat County's fallen veterans. 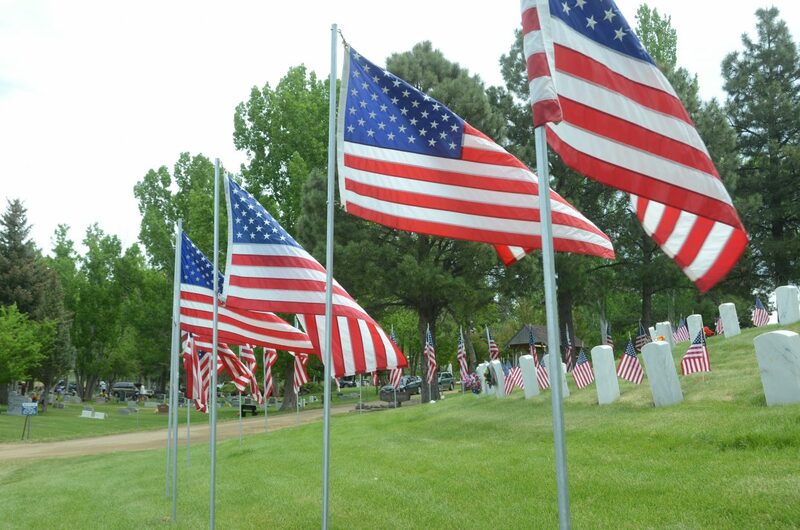 Flags adorn the Craig Cemetery in honor of Moffat County's fallen veterans. 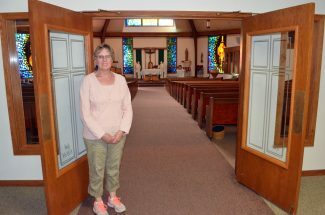 Several hundred residents turned out for the annual Memorial Day Service, held at 10 a.m. Monday, May 28. John Garcia, a U.S. Army veteran and Commander of VFW Post 4265, delivers Memorial Day remarks during the Memorial Day Ceremony, held Monday at the Craig Cemetery. 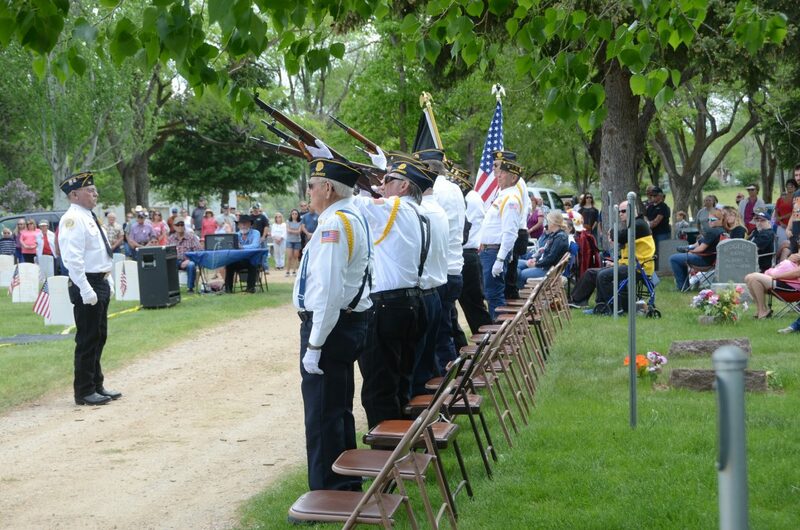 CRAIG — Several hundred Moffat County residents paused in their Memorial Day festivities Monday morning to gather at the Craig Cemetery in honor of the servicemen and women who have made the ultimate sacrifice in defense of the United States of America. “Today, we honor our fallen, but we also embrace a feeling of honor, patriotism and pride,” said John Garcia, a U.S. Army veteran of Vietnam and VFW Post 4265 commander. “From the patriots who fired the first shots of the American Revolution, to the forces we have deployed around the world today, American has been blessed to have citizens who will serve, fight and, sometimes, die for this country. “… Today, we pay tribute to these heroic patriots who made the ultimate sacrifice, who bravely rose up and fought for something greater than themselves, protecting a home to which they never returned. We honor their service, mourn their loss and remember the families that they left behind. 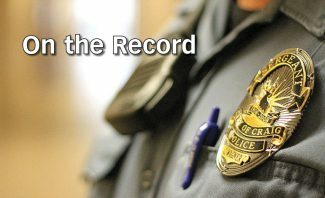 Noting that similar services were taking place across the nation, Garcia urged those in attendance to remember those who have fallen in defense of the nation as individuals with families, dreams and lives. A list of all veterans buried in Moffat County — some 815 fallen heroes — was then read, followed by the playing of “Taps” by Troop 1150 Boy Scout Jeremy Looper, echoed by Bailey Louthan. Memorial Day, originally known as Decoration Day, began as an event to honor Union soldiers who had died during the American Civil War. Following World War I, it was extended to include all men and women who had died in any war or military action. Decoration Day, and later, Memorial Day, used to be celebrated on May 30, regardless of the day of the week on which it fell. 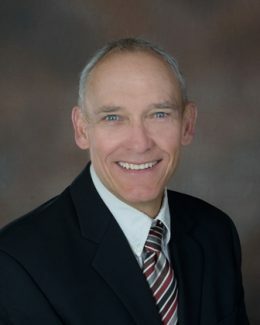 In 1968, however, the Uniform Holidays Bill was passed as part of a move to use federal holidays to create three-day weekends. 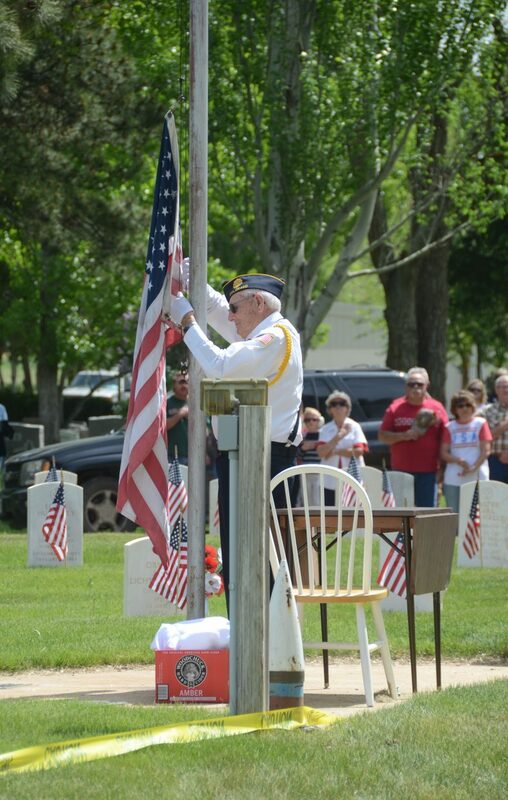 As a result, since 1971, Memorial Day has been officially observed on the last Monday in May. 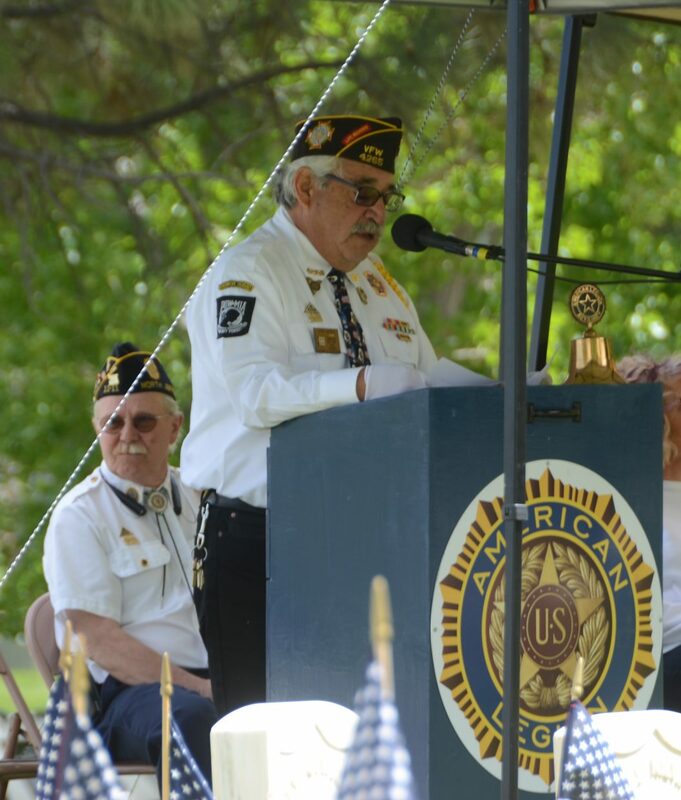 During his remarks, Garcia also urged the public to always remember Memorial Day as a time to honor those who have made the ultimate sacrifice in defense of the nation and to teach others the true meaning of this somber observance. 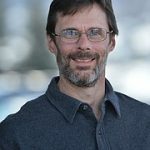 “In an effort to repay a debt that we can never truly repaid, we must honor the legacy of our nations’ fallen by educating all who believe Memorial Day is just another holiday and pass our knowledge along to the next generation so that they may do the same,” Garcia said. “We must ensure the youth of tomorrow understand the true cost of freedom. There is no greater way to honor the memory of those who have secured it.